For other uses, see Manifest Destiny (disambiguation). Historian Frederick Merk says this concept was born out of "a sense of mission to redeem the Old World by high example ... generated by the potentialities of a new earth for building a new heaven". Historians have emphasized that "manifest destiny" was a contested concept—Democrats endorsed the idea but many prominent Americans (such as Abraham Lincoln, Ulysses S. Grant, and most Whigs) rejected it. Historian Daniel Walker Howe writes, "American imperialism did not represent an American consensus; it provoked bitter dissent within the national polity ... Whigs saw America's moral mission as one of democratic example rather than one of conquest." Newspaper editor John O'Sullivan is generally credited with coining the term manifest destiny in 1845 to describe the essence of this mindset, which was a rhetorical tone; however, the unsigned editorial titled "Annexation" in which it first appeared was arguably written by journalist and annexation advocate Jane Cazneau. The term was used by Democrats in the 1840s to justify the war with Mexico and it was also used to divide half of Oregon with the United Kingdom. But manifest destiny always limped along because of its internal limitations and the issue of slavery, says Merk. It never became a national priority. By 1843, former U.S. President John Quincy Adams, originally a major supporter of the concept underlying manifest destiny, had changed his mind and repudiated expansionism because it meant the expansion of slavery in Texas. There was never a set of principles defining manifest destiny, therefore it was always a general idea rather than a specific policy made with a motto. 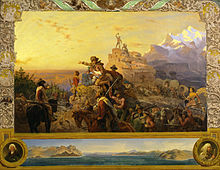 Ill-defined but keenly felt, manifest destiny was an expression of conviction in the morality and value of expansionism that complemented other popular ideas of the era, including American exceptionalism and Romantic nationalism. Andrew Jackson, who spoke of "extending the area of freedom", typified the conflation of America's potential greatness, the nation's budding sense of Romantic self-identity, and its expansion. Yet Jackson would not be the only president to elaborate on the principles underlying manifest destiny. Owing in part to the lack of a definitive narrative outlining its rationale, proponents offered divergent or seemingly conflicting viewpoints. While many writers focused primarily upon American expansionism, be it into Mexico or across the Pacific, others saw the term as a call to example. Without an agreed upon interpretation, much less an elaborated political philosophy, these conflicting views of America's destiny were never resolved. This variety of possible meanings was summed up by Ernest Lee Tuveson: "A vast complex of ideas, policies, and actions is comprehended under the phrase "Manifest Destiny". They are not, as we should expect, all compatible, nor do they come from any one source." Journalist John L. O'Sullivan was an influential advocate for Jacksonian democracy and a complex character, described by Julian Hawthorne as "always full of grand and world-embracing schemes". O'Sullivan wrote an article in 1839 that, while not using the term "manifest destiny", did predict a "divine destiny" for the United States based upon values such as equality, rights of conscience, and personal enfranchisement "to establish on earth the moral dignity and salvation of man". This destiny was not explicitly territorial, but O'Sullivan predicted that the United States would be one of a "Union of many Republics" sharing those values. Six years later, in 1845, O'Sullivan wrote another essay titled Annexation in the Democratic Review, in which he first used the phrase manifest destiny. In this article he urged the U.S. to annex the Republic of Texas, not only because Texas desired this, but because it was "our manifest destiny to overspread the continent allotted by Providence for the free development of our yearly multiplying millions". Overcoming Whig opposition, Democrats annexed Texas in 1845. O'Sullivan's first usage of the phrase "manifest destiny" attracted little attention. That is, O'Sullivan believed that Providence had given the United States a mission to spread republican democracy ("the great experiment of liberty"). Because Britain would not spread democracy, thought O'Sullivan, British claims to the territory should be overruled. O'Sullivan believed that manifest destiny was a moral ideal (a "higher law") that superseded other considerations. O'Sullivan's original conception of manifest destiny was not a call for territorial expansion by force. He believed that the expansion of the United States would happen without the direction of the U.S. government or the involvement of the military. After Americans immigrated to new regions, they would set up new democratic governments, and then seek admission to the United States, as Texas had done. In 1845, O'Sullivan predicted that California would follow this pattern next, and that Canada would eventually request annexation as well. He disapproved of the Mexican–American War in 1846, although he came to believe that the outcome would be beneficial to both countries. Ironically, O'Sullivan's term became popular only after it was criticized by Whig opponents of the Polk administration. Whigs denounced manifest destiny, arguing, "that the designers and supporters of schemes of conquest, to be carried on by this government, are engaged in treason to our Constitution and Declaration of Rights, giving aid and comfort to the enemies of republicanism, in that they are advocating and preaching the doctrine of the right of conquest". On January 3, 1846, Representative Robert Winthrop ridiculed the concept in Congress, saying "I suppose the right of a manifest destiny to spread will not be admitted to exist in any nation except the universal Yankee nation". Winthrop was the first in a long line of critics who suggested that advocates of manifest destiny were citing "Divine Providence" for justification of actions that were motivated by chauvinism and self-interest. Despite this criticism, expansionists embraced the phrase, which caught on so quickly that its origin was soon forgotten. The second theme's origination is less precise. A popular expression of America's mission was elaborated by President Abraham Lincoln's description in his December 1, 1862, message to Congress. He described the United States as "the last, best hope of Earth". The "mission" of the United States was further elaborated during Lincoln's Gettysburg Address, in which he interpreted the Civil War as a struggle to determine if any nation with democratic ideals could survive; this has been called by historian Robert Johannsen "the most enduring statement of America's Manifest Destiny and mission". The third theme can be viewed as a natural outgrowth of the belief that God had a direct influence in the foundation and further actions of the United States. Clinton Rossiter, a scholar, described this view as summing "that God, at the proper stage in the march of history, called forth certain hardy souls from the old and privilege-ridden nations ... and that in bestowing his grace He also bestowed a peculiar responsibility". Americans presupposed that they were not only divinely elected to maintain the North American continent, but also to "spread abroad the fundamental principles stated in the Bill of Rights". In many cases this meant neighboring colonial holdings and countries were seen as obstacles rather than the destiny God had provided the United States. Most Democrats were wholehearted supporters of expansion, whereas many Whigs (especially in the North) were opposed. Whigs welcomed most of the changes wrought by industrialization but advocated strong government policies that would guide growth and development within the country's existing boundaries; they feared (correctly) that expansion raised a contentious issue, the extension of slavery to the territories. On the other hand, many Democrats feared industrialization the Whigs welcomed... For many Democrats, the answer to the nation's social ills was to continue to follow Thomas Jefferson's vision of establishing agriculture in the new territories in order to counterbalance industrialization. Another possible influence is racial predominance, namely the idea that the American Anglo-Saxon race was "separate, innately superior" and "destined to bring good government, commercial prosperity and Christianity to the American continents and the world". This view also held that "inferior races were doomed to subordinate status or extinction." This was used to justify "the enslavement of the blacks and the expulsion and possible extermination of the Indians". With the Louisiana Purchase in 1803, which doubled the size of the United States, Thomas Jefferson set the stage for the continental expansion of the United States. Many began to see this as the beginning of a new providential mission: If the United States was successful as a "shining city upon a hill", people in other countries would seek to establish their own democratic republics. However, not all Americans or their political leaders believed that the United States was a divinely favored nation, or thought that it ought to expand. For example, many Whigs opposed territorial expansion based on the Democratic claim that the United States was destined to serve as a virtuous example to the rest of the world, and also had a divine obligation to spread its superordinate political system and a way of life throughout North American continent. Many in the Whig party "were fearful of spreading out too widely", and they "adhered to the concentration of national authority in a limited area". In July 1848, Alexander Stephens denounced President Polk's expansionist interpretation of America's future as "mendacious". 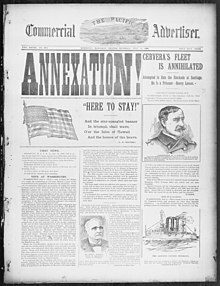 I was bitterly opposed to the measure [to annex Texas], and to this day regard the war [with Mexico] which resulted as one of the most unjust ever waged by a stronger against a weaker nation. It was an instance of a republic following the bad example of European monarchies, in not considering justice in their desire to acquire additional territory. In the mid‑19th century, expansionism, especially southward toward Cuba, also faced opposition from those Americans who were trying to abolish slavery. As more territory was added to the United States in the following decades, "extending the area of freedom" in the minds of southerners also meant extending the institution of slavery. That is why slavery became one of the central issues in the continental expansion of the United States before the Civil War. Before and during the Civil War both sides claimed that America's destiny were rightfully their own. Lincoln opposed anti-immigrant nativism, and the imperialism of manifest destiny as both unjust and unreasonable. He objected to the Mexican War and believed each of these disordered forms of patriotism threatened the inseparable moral and fraternal bonds of liberty and Union that he sought to perpetuate through a patriotic love of country guided by wisdom and critical self-awareness. Lincoln's "Eulogy to Henry Clay", June 6, 1852, provides the most cogent expression of his reflective patriotism. The phrase "manifest destiny" is most often associated with the territorial expansion of the United States from 1812 to 1860. This era, from the end of the War of 1812 to the beginning of the American Civil War, has been called the "age of manifest destiny". During this time, the United States expanded to the Pacific Ocean—"from sea to shining sea"—largely defining the borders of the contiguous United States as they are today. One of the causes of the War of 1812 may have been an American desire to annex or threaten to annex British Canada in order to stop the Indian raids into the Midwest, expel Britain from North America, and gain additional land. The American victories at the Battle of Lake Erie and the Battle of the Thames in 1813 ended the Indian raids and removed one of the reasons for annexation. The American failure to occupy any significant part of Canada prevented them from annexing it for the second reason, which was largely ended by the Era of Good Feelings, which ensued after the war between Britain and the United States. The United States, while intending never to acquire lands from the Indians otherwise than peaceably, and with their free consent, are fully determined, in that manner, progressively, and in proportion as their growing population may require, to reclaim from the state of nature, and to bring into cultivation every portion of the territory contained within their acknowledged boundaries. In thus providing for the support of millions of civilized beings, they will not violate any dictate of justice or of humanity; for they will not only give to the few thousand savages scattered over that territory an ample equivalent for any right they may surrender, but will always leave them the possession of lands more than they can cultivate, and more than adequate to their subsistence, comfort, and enjoyment, by cultivation. If this be a spirit of aggrandizement, the undersigned are prepared to admit, in that sense, its existence; but they must deny that it affords the slightest proof of an intention not to respect the boundaries between them and European nations, or of a desire to encroach upon the territories of Great Britain ... They will not suppose that that Government will avow, as the basis of their policy towards the United States a system of arresting their natural growth within their own territories, for the sake of preserving a perpetual desert for savages. Till I came here, I had no idea of the fixed determination which there is in the heart of every American to extirpate the Indians and appropriate their territory. Adams did much to further this idea. 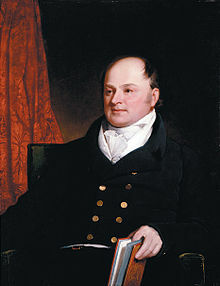 He orchestrated the Treaty of 1818, which established the Canada–US border as far west as the Rocky Mountains, and provided for the joint occupation of the region known in American history as the Oregon Country and in British and Canadian history as the New Caledonia and Columbia Districts. He negotiated the Transcontinental Treaty in 1819, transferring Florida from Spain to the United States and extending the U.S. border with Spanish Mexico all the way to the Pacific Ocean. And he formulated the Monroe Doctrine of 1823, which warned Europe that the Western Hemisphere was no longer open for European colonization. The Monroe Doctrine and "manifest destiny" formed a closely related nexus of principles: historian Walter McDougall calls manifest destiny a corollary of the Monroe Doctrine, because while the Monroe Doctrine did not specify expansion, expansion was necessary in order to enforce the Doctrine. Concerns in the United States that European powers (especially Great Britain) were seeking to acquire colonies or greater influence in North America led to calls for expansion in order to prevent this. In his influential 1935 study of manifest destiny, Albert Weinberg wrote: "the expansionism of the [1830s] arose as a defensive effort to forestall the encroachment of Europe in North America". Manifest destiny played its most important role in the Oregon boundary dispute between the United States and Britain, when the phrase "manifest destiny" originated. The Anglo-American Convention of 1818 had provided for the joint occupation of the Oregon Country, and thousands of Americans migrated there in the 1840s over the Oregon Trail. The British rejected a proposal by U.S. President John Tyler (in office 1841–1845) to divide the region along the 49th parallel, and instead proposed a boundary line farther south along the Columbia River, which would have made most of what later became the state of Washington part of British North America. Advocates of manifest destiny protested and called for the annexation of the entire Oregon Country up to the Alaska line (54°40ʹ N). Presidential candidate James K. Polk used this popular outcry to his advantage, and the Democrats called for the annexation of "All Oregon" in the 1844 U.S. Presidential election. As president, however, Polk sought compromise and renewed the earlier offer to divide the territory in half along the 49th parallel, to the dismay of the most ardent advocates of manifest destiny. When the British refused the offer, American expansionists responded with slogans such as "The Whole of Oregon or None!" and "Fifty-Four Forty or Fight! ", referring to the northern border of the region. (The latter slogan is often mistakenly described as having been a part of the 1844 presidential campaign.) When Polk moved to terminate the joint occupation agreement, the British finally agreed in early 1846 to divide the region along the 49th parallel, leaving the lower Columbia basin as part of the United States. The Oregon Treaty of 1846 formally settled the dispute; Polk's administration succeeded in selling the treaty to Congress because the United States was about to begin the Mexican–American War, and the president and others argued it would be foolish to also fight the British Empire. Despite the earlier clamor for "All Oregon", the Oregon Treaty was popular in the United States and was easily ratified by the Senate. The most fervent advocates of manifest destiny had not prevailed along the northern border because, according to Reginald Stuart, "the compass of manifest destiny pointed west and southwest, not north, despite the use of the term 'continentalism'". Manifest destiny played an important role in the expansion of Texas and American relationship with Mexico. In 1836, the Republic of Texas declared independence from Mexico and, after the Texas Revolution, sought to join the United States as a new state. This was an idealized process of expansion that had been advocated from Jefferson to O'Sullivan: newly democratic and independent states would request entry into the United States, rather than the United States extending its government over people who did not want it. The annexation of Texas was attacked by anti-slavery spokesmen because it would add another slave state to the Union. Presidents Andrew Jackson and Martin Van Buren declined Texas's offer to join the United States in part because the slavery issue threatened to divide the Democratic Party. After the election of Polk, but before he took office, Congress approved the annexation of Texas. Polk moved to occupy a portion of Texas that had declared independence from Mexico in 1836, but was still claimed by Mexico. This paved the way for the outbreak of the Mexican–American War on April 24, 1846. With American successes on the battlefield, by the summer of 1847 there were calls for the annexation of "All Mexico", particularly among Eastern Democrats, who argued that bringing Mexico into the Union was the best way to ensure future peace in the region. We have never dreamt of incorporating into our Union any but the Caucasian race—the free white race. To incorporate Mexico, would be the very first instance of the kind, of incorporating an Indian race; for more than half of the Mexicans are Indians, and the other is composed chiefly of mixed tribes. I protest against such a union as that! Ours, sir, is the Government of a white race.... We are anxious to force free government on all; and I see that it has been urged ... that it is the mission of this country to spread civil and religious liberty over all the world, and especially over this continent. It is a great mistake. This debate brought to the forefront one of the contradictions of manifest destiny: on the one hand, while identitarian ideas inherent in manifest destiny suggested that Mexicans, as non-whites, would present a threat to white racial integrity and thus were not qualified to become Americans, the "mission" component of manifest destiny suggested that Mexicans would be improved (or "regenerated", as it was then described) by bringing them into American democracy. Identitarianism was used to promote manifest destiny, but, as in the case of Calhoun and the resistance to the "All Mexico" movement, identitarianism was also used to oppose manifest destiny. Conversely, proponents of annexation of "All Mexico" regarded it as an anti-slavery measure. Historian Frederick Merk, in Manifest Destiny and Mission in American History: A Reinterpretation (1963), argued that the failure of the "All Oregon" and "All Mexico" movements indicates that manifest destiny had not been as popular as historians have traditionally portrayed it to have been. Merk wrote that, while belief in the beneficent mission of democracy was central to American history, aggressive "continentalism" were aberrations supported by only a minority of Americans, all of them Democrats. Some Democrats were also opposed; the Democrats of Louisiana opposed annexation of Mexico, while those in Mississippi supported it. After the Mexican–American War ended in 1848, disagreements over the expansion of slavery made further annexation by conquest too divisive to be official government policy. Some, such as John Quitman, governor of Mississippi, offered what public support they could offer. In one memorable case, Quitman simply explained that the state of Mississippi had "lost" its state arsenal, which began showing up in the hands of filibusters. Yet these isolated cases only solidified opposition in the North as many Northerners were increasingly opposed to what they believed to be efforts by Southern slave owners—and their friends in the North—to expand slavery through filibustering. Sarah P. Remond on January 24, 1859, delivered an impassioned speech at Warrington, England, that the connection between filibustering and slave power was clear proof of "the mass of corruption that underlay the whole system of American government". The Wilmot Proviso and the continued "Slave Power" narratives thereafter, indicated the degree to which manifest destiny had become part of the sectional controversy. Without official government support the most radical advocates of manifest destiny increasingly turned to military filibustering. Originally filibuster had come from the Dutch vrijbuiter and referred to buccaneers in the West Indies that preyed on Spanish commerce. While there had been some filibustering expeditions into Canada in the late 1830s, it was only by mid-century did filibuster become a definitive term. By then, declared the New-York Daily Times "the fever of Fillibusterism is on our country. Her pulse beats like a hammer at the wrist, and there's a very high color on her face." Millard Fillmore's second annual message to Congress, submitted in December 1851, gave double the amount of space to filibustering activities than the brewing sectional conflict. The eagerness of the filibusters, and the public to support them, had an international hue. Clay's son, diplomat to Portugal, reported that Lisbon had been stirred into a "frenzy" of excitement and were waiting on every dispatch. Filibuster William Walker, who launched several expeditions to Mexico and Central America, ruled Nicaragua, and was captured by the British Navy before being executed in Honduras. Although they were illegal, filibustering operations in the late 1840s and early 1850s were romanticized in the United States. The Democratic Party's national platform included a plank that specifically endorsed William Walker's filibustering in Nicaragua. Wealthy American expansionists financed dozens of expeditions, usually based out of New Orleans, New York, and San Francisco. The primary target of manifest destiny's filibusters was Latin America but there were isolated incidents elsewhere. Mexico was a favorite target of organizations devoted to filibustering, like the Knights of the Golden Circle. 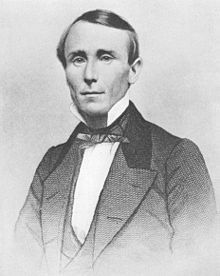 William Walker got his start as a filibuster in an ill-advised attempt to separate the Mexican states Sonora and Baja California. Narciso López, a near second in fame and success, spent his efforts trying to secure Cuba from the Spanish Empire. The United States had long been interested in acquiring Cuba from the declining Spanish Empire. As with Texas, Oregon, and California, American policy makers were concerned that Cuba would fall into British hands, which, according to the thinking of the Monroe Doctrine, would constitute a threat to the interests of the United States. Prompted by John L. O'Sullivan, in 1848 President Polk offered to buy Cuba from Spain for $100 million. Polk feared that filibustering would hurt his effort to buy the island, and so he informed the Spanish of an attempt by the Cuban filibuster Narciso López to seize Cuba by force and annex it to the United States, foiling the plot. Nevertheless, Spain declined to sell the island, which ended Polk's efforts to acquire Cuba. O'Sullivan, on the other hand eventually landed in legal trouble. Filibustering continued to be a major concern for presidents after Polk. Whigs presidents Zachary Taylor and Millard Fillmore tried to suppress the expeditions. When the Democrats recaptured the White House in 1852 with the election of Franklin Pierce, a filibustering effort by John A. Quitman to acquire Cuba received the tentative support of the president. Pierce backed off, however, and instead renewed the offer to buy the island, this time for $130 million. When the public learned of the Ostend Manifesto in 1854, which argued that the United States could seize Cuba by force if Spain refused to sell, this effectively killed the effort to acquire the island. The public now linked expansion with slavery; if manifest destiny had once enjoyed widespread popular approval, this was no longer true. Filibusters like William Walker continued to garner headlines in the late 1850s, but to little effect. Expansionism was among the various issues that played a role in the coming of the war. With the divisive question of the expansion of slavery, Northerners and Southerners, in effect, were coming to define manifest destiny in different ways, undermining nationalism as a unifying force. According to Frederick Merk, "The doctrine of Manifest Destiny, which in the 1840s had seemed Heaven-sent, proved to have been a bomb wrapped up in idealism." 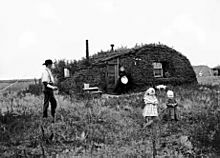 The Homestead Act of 1862 encouraged 600,000 families to settle the West by giving them land (usually 160 acres) almost free. They had to live on and improve the land for five years. Before the Civil War, Southern leaders opposed the Homestead Acts because they feared it would lead to more free states and free territories. After the mass resignation of Southern senators and representatives at the beginning of the war, Congress was subsequently able to pass the Homestead Act. 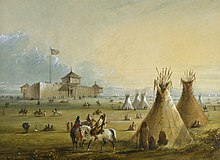 Manifest destiny had serious consequences for Native Americans, since continental expansion implicitly meant the occupation and annexation of Native American land, sometimes to expand slavery. This ultimately led to confrontations and wars with several groups of native peoples via Indian removal. The United States continued the European practice of recognizing only limited land rights of indigenous peoples. In a policy formulated largely by Henry Knox, Secretary of War in the Washington Administration, the U.S. government sought to expand into the west through the purchase of Native American land in treaties. Only the Federal Government could purchase Indian lands and this was done through treaties with tribal leaders. Whether a tribe actually had a decision-making structure capable of making a treaty was a controversial issue. The national policy was for the Indians to join American society and become "civilized", which meant no more wars with neighboring tribes or raids on white settlers or travelers, and a shift from hunting to farming and ranching. Advocates of civilization programs believed that the process of settling native tribes would greatly reduce the amount of land needed by the Native Americans, making more land available for homesteading by white Americans. Thomas Jefferson believed that while American Indians were the intellectual equals of whites, they had to live like the whites or inevitably be pushed aside by them. Jefferson's belief, rooted in Enlightenment thinking, that whites and Native Americans would merge to create a single nation did not last his lifetime, and he began to believe that the natives should emigrate across the Mississippi River and maintain a separate society, an idea made possible by the Louisiana Purchase of 1803. In the age of manifest destiny, this idea, which came to be known as "Indian removal", gained ground. Humanitarian advocates of removal believed that American Indians would be better off moving away from whites. As historian Reginald Horsman argued in his influential study Race and Manifest Destiny, racial rhetoric increased during the era of manifest destiny. Americans increasingly believed that Native American ways of life would "fade away" as the United States expanded. As an example, this idea was reflected in the work of one of America's first great historians, Francis Parkman, whose landmark book The Conspiracy of Pontiac was published in 1851. Parkman wrote that after the British conquest of Canada in 1760, Indians were "destined to melt and vanish before the advancing waves of Anglo-American power, which now rolled westward unchecked and unopposed". Parkman emphasized that the collapse of Indian power in the late 18th century had been swift and was a past event. As the Civil War faded into history, the term manifest destiny experienced a brief revival. Protestant missionary Josiah Strong, in his best seller of 1885 Our Country, argued that the future was devolved upon America since it had perfected the ideals of civil liberty, "a pure spiritual Christianity", and concluded, "My plea is not, Save America for America's sake, but, Save America for the world's sake." In the 1892 U.S. presidential election, the Republican Party platform proclaimed: "We reaffirm our approval of the Monroe doctrine and believe in the achievement of the manifest destiny of the Republic in its broadest sense." What was meant by "manifest destiny" in this context was not clearly defined, particularly since the Republicans lost the election. In the 1896 election, however, the Republicans recaptured the White House and held on to it for the next 16 years. During that time, manifest destiny was cited to promote overseas expansion. Whether or not this version of manifest destiny was consistent with the continental expansionism of the 1840s was debated at the time, and long afterwards. For example, when President William McKinley advocated annexation of the Republic of Hawaii in 1898, he said that "We need Hawaii just as much and a good deal more than we did California. It is manifest destiny." On the other hand, former President Grover Cleveland, a Democrat who had blocked the annexation of Hawaii during his administration, wrote that McKinley's annexation of the territory was a "perversion of our national destiny". Historians continued that debate; some have interpreted American acquisition of other Pacific island groups in the 1890s as an extension of manifest destiny across the Pacific Ocean. Others have regarded it as the antithesis of manifest destiny and merely imperialism. A cartoon of Uncle Sam seated in restaurant looking at the bill of fare containing "Cuba steak", "Porto Rico pig", the "Philippine Islands" and the "Sandwich Islands" (Hawaii). In 1898, the United States intervened in the Cuban insurrection and launched the Spanish–American War to force Spain out. According to the terms of the Treaty of Paris, Spain relinquished sovereignty over Cuba and ceded the Philippine Islands, Puerto Rico, and Guam to the United States. The terms of cession for the Philippines involved a payment of the sum of $20 million by the United States to Spain. The treaty was highly contentious and denounced by William Jennings Bryan, who tried to make it a central issue in the 1900 election. He was defeated in landslide by McKinley. The Teller Amendment, passed unanimously by the U.S. Senate before the war, which proclaimed Cuba "free and independent", forestalled annexation of the island. The Platt Amendment (1902), however, established Cuba as a virtual protectorate of the United States. The acquisition of Guam, Puerto Rico, and the Philippines after the war with Spain marked a new chapter in U.S. history. Traditionally, territories were acquired by the United States for the purpose of becoming new states on equal footing with already existing states. These islands, however, were acquired as colonies rather than prospective states. The process was validated by the Insular Cases. The Supreme Court ruled that full constitutional rights did not automatically extend to all areas under American control. Nevertheless, in 1917, Puerto Ricans were all made full American citizens via the Jones Act. This also provided for a popularly elected legislature and a bill of rights, and authorized the election of a Resident Commissioner who has a voice (but no vote) in Congress. According to Frederick Merk, these colonial acquisitions marked a break from the original intention of manifest destiny. Previously, "Manifest Destiny had contained a principle so fundamental that a Calhoun and an O'Sullivan could agree on it—that a people not capable of rising to statehood should never be annexed. That was the principle thrown overboard by the imperialism of 1899." Albert J. Beveridge maintained the contrary at his September 25, 1900, speech in the Auditorium, at Chicago. He declared that the current desire for Cuba and the other acquired territories was identical to the views expressed by Washington, Jefferson and Marshall. Moreover, "the sovereignty of the Stars and Stripes can be nothing but a blessing to any people and to any land." The Philippines was eventually given its independence in 1946; Guam and Puerto Rico have special status to this day, but all their people have United States citizenship. The English poet Rudyard Kipling wrote "The White Man's Burden" to Americans, calling on them to take up their share of the burden. Subtitled "The United States and the Philippine Islands", it was a widely noted expression of imperialist sentiments, which were common at the time. The nascent revolutionary government desirous of independence, however, resisted the United States in the Philippine–American War in 1899; it won no support from any government anywhere and collapsed when its leader was captured. William Jennings Bryan denounced the war and any form of overseas expansion, writing, "'Destiny' is not as manifest as it was a few weeks ago." The belief in an American mission to promote and defend democracy throughout the world, as expounded by Thomas Jefferson and his "Empire of Liberty", and continued by Abraham Lincoln, Woodrow Wilson and George W. Bush, continues to have an influence on American political ideology. Under Douglas MacArthur, the Americans "were imbued with a sense of manifest destiny" says historian John Dower. After the turn of the nineteenth century to the twentieth, the phrase manifest destiny declined in usage, as territorial expansion ceased to be promoted as being a part of America's "destiny". Under President Theodore Roosevelt the role of the United States in the New World was defined, in the 1904 Roosevelt Corollary to the Monroe Doctrine, as being an "international police power" to secure American interests in the Western Hemisphere. Roosevelt's corollary contained an explicit rejection of territorial expansion. In the past, manifest destiny had been seen as necessary to enforce the Monroe Doctrine in the Western Hemisphere, but now expansionism had been replaced by interventionism as a means of upholding the doctrine. ... I think we all realize that the day has come when Democracy is being put upon its final test. The Old World is just now suffering from a wanton rejection of the principle of democracy and a substitution of the principle of autocracy as asserted in the name, but without the authority and sanction, of the multitude. This is the time of all others when Democracy should prove its purity and its spiritual power to prevail. It is surely the manifest destiny of the United States to lead in the attempt to make this spirit prevail. This was the only time a president had used the phrase "manifest destiny" in his annual address. Wilson's version of manifest destiny was a rejection of expansionism and an endorsement (in principle) of self-determination, emphasizing that the United States had a mission to be a world leader for the cause of democracy. This U.S. vision of itself as the leader of the "Free World" would grow stronger in the 20th century after World War II, although rarely would it be described as "manifest destiny", as Wilson had done. "Manifest destiny" is sometimes used by critics of U.S. foreign policy to characterize interventions in the Middle East and elsewhere. In this usage, "manifest destiny" is interpreted as the underlying cause of what is denounced by some as "American imperialism". A more positive-sounding phrase devised by scholars at the end of the twentieth century is "nation building", and State Department official Karin Von Hippel notes that the U.S. has "been involved in nation-building and promoting democracy since the middle of the nineteenth century and 'Manifest Destiny'". Stephen A. Douglas—prominent spokesman of "Young America"
Horace Greeley—popularized the phrase "Go West, young man." ^ Mountjoy, Shane, Manifest Destiny: Westward Expansion. Infobase Publishing (2009), p. 19. ^ "John Gast, American Progress, 1872". Picturing U.S. History. City University of New York. Archived from the original on June 15, 2014. ^ Robert J. Miller (2006). Native America, Discovered And Conquered: Thomas Jefferson, Lewis & Clark, And Manifest Destiny. Greenwood. p. 120. ISBN 9780275990114. ^ "29. Manifest Destiny". American History. USHistory.org. ^ Hudson, Linda S. Mistress of Manifest Destiny: A Biography of Jane McManus Storm Cazneau, 1807–1878. Texas State Historical Association, 2001. ISBN 0-87611-179-7. ^ Hidalgo, Dennis R. (2003). "Manifest Destiny". Encyclopedia.com taken from Dictionary of American History. Retrieved June 11, 2014. ^ Tuveson 1980, p. 91. ^ O'Sullivan, John. "The Great Nation of Futurity". The United States Democratic Review Volume 0006 Issue 23 (November 1839). ^ O'Sullivan, John L., A Divine Destiny for America Archived October 16, 2004, at the Wayback Machine, 1845. ^ O'Sullivan, John L. (July – August 1845). "Annexation". United States Magazine and Democratic Review. 17 (1): 5–11. Retrieved May 20, 2008. ^ See Julius Pratt, "The Origin Of 'Manifest Destiny'", American Historical Review, (1927) 32#4, pp. 795–98 in JSTOR. Linda S. Hudson has argued that it was coined by writer Jane McManus Storm; Greenburg, p. 20; Hudson 2001; O'Sullivan biographer Robert D. Sampson disputes Hudson's claim for a variety of reasons (See note 7 at Sampson 2003, pp. 244–45). ^ Adams 2008, p. 188. ^ Robert W. Johannsen, "The Meaning of Manifest Destiny", in Johannsen 1997. ^ Weinberg 1935, p. 145; Johannsen 1997, p. 9. ^ Weeks 1996, p. 61. ^ Justin B. Litke, "Varieties of American Exceptionalism: Why John Winthrop Is No Imperialist", Journal of Church and State, 54 (Spring 2012), 197–213. ^ Johannsen 1997, pp. 18–19. ^ Reginald Horsman. Race and Manifest Destiny. pp. 2, 6. ^ Witham, Larry (2007). A City Upon a Hill: How Sermons Changed the Course of American History. New York: Harper. ^ Byrnes, Mark Eaton (2001). James K. Polk: A Biographical Companion. Santa Barbara, Calif: ABC-CLIO. p. 145. ^ See "U.S. Grant, Memoir on the Mexican War (1885)"
^ Morrison, Michael A. (1997). Slavery and the American West: The Eclipse of Manifest Destiny and the Coming of the Civil War. Chapel Hill: University of North Carolina Press. ^ Mountjoy, Shane (2009). Manifest Destiny: Westward Expansion. New York: Chelsea House Publishers. ^ Joseph R. Fornieri (April – June 2010). "Lincoln's Reflective Patriotism". Perspectives on Political Science. 39 (2): 108–17. doi:10.1080/10457091003685019. ^ Kurt Hanson; Robert L. Beisner (2003). American Foreign Relations since 1600: A Guide to the Literature, Second Edition. ABC-CLIO. p. 313. ISBN 978-1-57607-080-2. ^ Stuart and Weeks call this period the "era of manifest destiny" and the "age of manifest destiny", respectively. ^ Charles M. Gates (1940). "The West in American Diplomacy, 1812–1815". Mississippi Valley Historical Review. 26 (4): 499–510. doi:10.2307/1896318. JSTOR 1896318. quote on p. 507. ^ Adams quoted in McDougall 1997, p. 78. ^ McDougall 1997, p. 74; Weinberg 1935, p. 109. ^ Treaty popular: Stuart 1988, p. 104; compass quote p. 84. 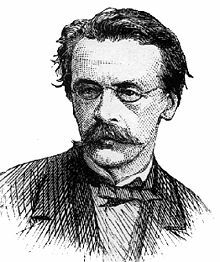 ^ Victor, Frances Fuller (August 1869). "Manifest Destiny in the West" . Overland Monthly. 3 (2). ^ Ramon Eduardo Ruiz, ed., The Mexican War--was it Manifest Destiny? (Harcourt, 1963). ^ Lyon Rathbun, Lyon "The debate over annexing Texas and the emergence of manifest destiny." Rhetoric & Public Affairs 4#3 (2001): 459–93. ^ Mark R. Cheathem; Terry Corps (2016). Historical Dictionary of the Jacksonian Era and Manifest Destiny. Rowman & Littlefield. p. 139. ISBN 9781442273207. ^ Merk 1963, pp. 144–47; Fuller 1936; Hietala 2003. ^ W. Paul Reeve (2015). Religion of a Different Color: Race and the Mormon Struggle for Whiteness. Oxford UP. p. 6. ISBN 9780199754076. ^ Calhoun, John C. (1848). "Conquest of Mexico". TeachingAmericanHistory.org. Retrieved October 19, 2007. ^ McDougall 1997, pp. 87–95. ^ Fuller 1936, pp. 119, 122, 162 and passim. ^ Billy H. Gilley (1979). "'Polk's War' and the Louisiana Press". Louisiana History. 20 (1): 5–23. JSTOR 4231864. ^ Robert A. Brent (1969). "Mississippi and the Mexican War". Journal of Mississippi History. 31 (3): 202–14. ^ "A Critical Day". The New York Times. March 4, 1854. ^ Crocker 2006, p. 150. ^ Weeks 1996, pp. 144–52. ^ Merk 1963, p. 214. ^ Lesli J. Favor (2005). "6. Settling the West". A Historical Atlas of America's Manifest Destiny. Rosen. ISBN 9781404202016. ^ "Teaching With Documents:The Homestead Act of 1862". The U.S. National Archives and Records Administration. Retrieved June 29, 2012. ^ Robert E. Greenwood PhD (2007). Outsourcing Culture: How American Culture has Changed From "We the People" Into a One World Government. Outskirts Press. p. 97. ^ Rajiv Molhotra (2009). "American Exceptionalism and the Myth of the American Frontiers". In Rajani Kannepalli Kanth (ed.). The Challenge of Eurocentrism. Palgrave MacMillan. pp. 180, 184, 189, 199. ^ Prucha 1995, p. 137, "I believe the Indian then to be in body and mind equal to the white man," (Jefferson letter to the Marquis de Chastellux, June 7, 1785). ^ a b American Indians. Thomas Jefferson's Monticello. Retrieved April 26, 2015. ^ Francis Parkman (1913) . The conspiracy of Pontiac and the Indian war after the conquest of Canada. p. 9. ^ Official Manual of the State of Missouri. Office of the Secretary of State of Missouri. 1895. p. 245. ^ Republican Party platform Archived October 18, 2007, at the Wayback Machine; context not clearly defined, Merk 1963, p. 241. ^ McKinley quoted in McDougall 1997, pp. 112–13; Merk 1963, p. 257. ^ Bailey, Thomas A. (1937). "Was the Presidential Election of 1900 a Mandate on Imperialism?". Mississippi Valley Historical Review. 24 (1): 43–52. doi:10.2307/1891336. JSTOR 1891336. ^ Merk 1963, p. 257. ^ Kipling, Rudyard. "The White Man's Burden". ^ Charles Philippe David and David Grondin (2006). Hegemony Or Empire? : The Redefinition of Us Power Under George W. Bush. Ashgate. pp. 129–30. ISBN 9781409495628. ^ Stephanson 1996, pp. 112–29 examines the influence of manifest destiny in the 20th century, particularly as articulated by Woodrow Wilson. ^ Scott, Donald. "The Religious Origins of Manifest Destiny". National Humanities Center. Retrieved October 26, 2011. ^ John W. Dower (2000). Embracing Defeat: Japan in the Wake of World War II. W. W. Norton. p. 217. ISBN 9780393345247. ^ "Safe for democracy"; 1920 message; Wilson's version of manifest destiny: Weinberg 1935, p. 471. ^ Karin Von Hippel (2000). Democracy by Force: U.S. Military Intervention in the Post-Cold War World. Cambridge University Press. p. 1. Adams, Sean Patrick (2008). The Early American Republic: A Documentary Reader. Wiley–Blackwell. ISBN 978-1-4051-6098-8. Bryan, William Jennings (1899). Republic or Empire?. Beveridge, Albert J. (1908). The Meaning of the Times and Other Speeches. Indianapolis: The Bobbs–Merrill Company. Crenshaw, Ollinger (1941). "The Knights of the Golden Circle: The Career of George Bickley". The American Historical Review. 47 (1): 23–50. doi:10.1086/ahr/47.1.23. Crocker, H. W. (2006). Don't tread on me: a 400-year history of America at war, from Indian fighting to terrorist hunting. Crown Forum. ISBN 978-1-4000-5363-6. Cheery, Conrad (1998). God's New Israel. The University of North Carolina Press. p. 424. ISBN 978-0-8078-4754-1. Greene, Laurence (2008). The Filibuster. New York: Kessinger Publishing, LLC. p. 384. ISBN 978-1-4366-9531-2. Fisher, Philip (1985). Hard facts: setting and form in the American novel. Oxford University Press. ISBN 978-0-19-503528-5. Fuller, John Douglas Pitts (1936). The movement for the acquisition of all Mexico, 1846–1848. Johns Hopkins Press. Greenberg, Amy S. (2005). Manifest manhood and the antebellum American empire. Cambridge University Press. ISBN 978-0-521-84096-5. Hietala, Thomas R. (February 2003). Manifest Design: American Exceptionalism and Empire. Cornell University Press. ISBN 978-0-8014-8846-7. Previously published as Hietala, Thomas R. (1985). Manifest design: anxious aggrandizement in late Jacksonian America. Cornell University Press. ISBN 978-0-8014-1735-1. Hudson, Linda S. (2001). Mistress of Manifest Destiny: a biography of Jane McManus Storm Cazneau, 1807–1878. Texas State Historical Association. ISBN 978-0-87611-179-6. Johannsen, Robert Walter (1997). Manifest Destiny and empire: American antebellum expansionism. Texas A&M University Press. ISBN 978-0-89096-756-0. Klinghoffer, Arthur Jay (2006). The power of projections: how maps reflect global politics and history. Greenwood Publishing Group. ISBN 978-0-275-99135-7. Ford, Paul L., ed. (2010). Works of Thomas Jefferson, IX. Cosmo Press Inc. ISBN 978-1-61640-210-5. May, Robert E. (2004). Manifest Destiny's Underworld. The University of North Carolina Press. p. 448. ISBN 978-0-8078-5581-2. Mattelart, Armand (1996). The Invention of Communication. U of Minnesota Press. ISBN 978-0-8166-2697-7. McDougall, Walter A. (1997). Promised land, crusader state: the American encounter with the world since 1776. Houghton Mifflin. ISBN 978-0-395-83085-7. Merk, Frederick (1963). Manifest Destiny and Mission in American History. Harvard University Press. ISBN 978-0-674-54805-3. Prucha, Francis Paul (1995). The great father: the United States government and the American Indians. U of Nebraska Press. ISBN 978-0-8032-8734-1. Ripley, Peter C. (1985). The Black Abolitionist Papers. Chapel Hill, NC: University of North Carolina Press. p. 646. Rossiter, Clinton (1950). "The American Mission". The American Scholar (20): 19–20. Sampson, Robert (2003). John L. O'Sullivan and his times. Kent State University Press. ISBN 978-0-87338-745-3. Stephanson, Anders (1996). Manifest Destiny: American expansionism and the empire of right. Hill and Wang. ISBN 978-0-8090-1584-9. Stuart, Reginald C. (1988). United States expansionism and British North America, 1775–1871. University of North Carolina Press. ISBN 978-0-8078-1767-4. Somkin, Fred (1967). Unquiet Eagle: Memory and Desire in the Idea of American Freedom, 1815–1860. Ithaca, N.Y.
Strong, Josiah (1885). Our Country. Baker and Taylor Company. Tuveson, Ernest Lee (1980). Redeemer nation: the idea of America's millennial role. University of Chicago Press. ISBN 978-0-226-81921-1. Weeks, William Earl (1996). Building the continental empire: American expansion from the Revolution to the Civil War. Ivan R. Dee. ISBN 978-1-56663-135-8. Ward, John William (1962). Andrew Jackson : Symbol for an Age: Symbol for an Age. Oxford University Press. ISBN 978-0-19-992320-5. Weinberg, Albert Katz; Walter Hines Page School of International Relations (1935). Manifest destiny: a study of nationalist expansionism in American history. The Johns Hopkins Press. ISBN 978-0-404-14706-8. Victor, Frances Fuller (August 1869). "Manifest Destiny in the West" . Overland Monthly. 3 (2). Dunning, Mike (2001). "Manifest Destiny and the Trans-Mississippi South: Natural Laws and the Extension of Slavery into Mexico". Journal of Popular Culture. 35 (2): 111–27. doi:10.1111/j.0022-3840.2001.00111.x. ISSN 0022-3840. Fulltext: Ebsco. Pinheiro, John C (2003). "'Religion Without Restriction': Anti-catholicism, All Mexico, and the Treaty of Guadalupe Hidalgo". Journal of the Early Republic. 23 (1): 69–96. doi:10.2307/3124986. ISSN 0275-1275. JSTOR 3124986. Sampson, Robert D (2002). "The Pacifist-reform Roots of John L. O'Sullivan's Manifest Destiny". Mid-America. 84 (1–3): 129–44. ISSN 0026-2927. Brown, Charles Henry (January 1980). Agents of Manifest Destiny: the lives and times of the filibusters. University of North Carolina Press. ISBN 978-0-8078-1361-4. Burns, Edward McNall (1957). The American idea of mission: concepts of national purpose and destiny. Rutgers University Press. Fresonke, Kris (2003). West of Emerson: the design of Manifest Destiny. University of California Press. ISBN 978-0-520-23185-6. Gould, Lewis L. (1980). The Presidency of William McKinley. Regents Press of Kansas. ISBN 978-0-7006-0206-3. Graebner, Norman A. (1968). Manifest destiny. Bobbs–Merrill. ISBN 978-0-672-50986-5. Heidler, David Stephen; Heidler, Jeanne T. (2003). Manifest Destiny. Greenwood Press. ISBN 978-0-313-32308-9. Hofstadter, Richard (1965). "Cuba, the Philippines, and Manifest Destiny". The paranoid style in American politics: and other essays. Knopf. Horsman, Reginald (1981). Race and Manifest Destiny: The origins of American racial Anglo-Saxonism. Harvard University Press. ISBN 978-0-674-94805-1. McDonough, Matthew Davitian. Manifestly Uncertain Destiny: The Debate over American Expansionism, 1803–1848. PhD dissertation, Kansas State University, 2011. Merk, Frederick, and Lois Bannister Merk. Manifest Destiny and Mission in American History: A Reinterpretation. New York: Knopf, 1963. May, Robert E. (2002). Manifest Destiny's underworld: filibustering in antebellum America. University of North Carolina Press. ISBN 978-0-8078-2703-1. Morrison, Michael A. (August 18, 1999). Slavery and the American West: The Eclipse of Manifest Destiny and the Coming of the Civil War. UNC Press Books. ISBN 978-0-8078-4796-1. Smith, Gene A. (2000). Thomas Ap Catesby Jones: commodore of Manifest Destiny. Naval Institute Press. ISBN 978-1-55750-848-5.